Posted on Wednesday, April 13th, 2011 at 6:00 am. Subscribe to the comments feed. Both comments and pings are currently closed. Post on your own blog. 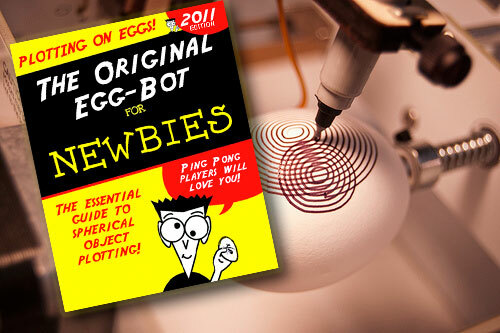 Afternoon – I have just ordered the Egg-Bot and it should be in withing the next week. I really cannot wait. I have downloaded and played with Inkscape and should be ready once the machine arrives. now, what am I going to do with it. Well, draw images on the eggs then carve them out. I’ll update some photos once I get it up and running.